Updated with new material. This comprehensive guide shows you how to get the employee feedback you need to successfully implement internal programs and initiatives. Two great ways to ORDER NOW! How can you find out what employees are thinking? 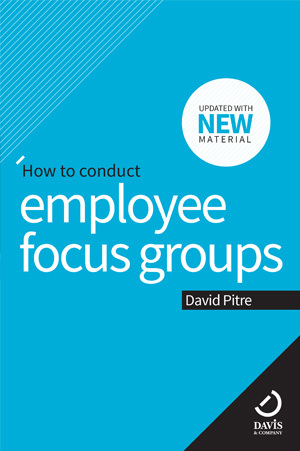 How to conduct employee focus groups is the comprehensive guide that shows you how to explore issues, test concepts and generate ideas with employees so you can make more informed decisions. Whether you’re an HR professional, a communicator or anyone running a program, How to conduct employee focus groups will help you get the insight you’re looking for. Learn about each step from planning to findings.